*** CANCEL **** MISSING ALZHEIMERS PATIENT FOUND ... PSPD thanks the community for their assisatnce in locating Merle McCraken 74 year old white female. 5'05 120 lbs. Subject has Alzheimers and was FOUND. 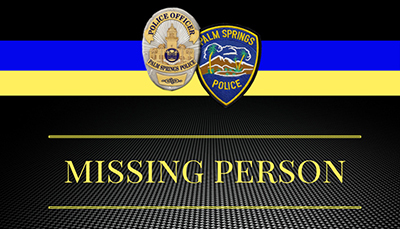 If you have information that can assist in the future, please contact PSPD at 760-327-1441.